Product prices and availability are accurate as of 2017-03-06 12:01:42 GMT and are subject to change. Any price and availability information displayed on http://www.amazon.co.uk/ at the time of purchase will apply to the purchase of this product. IDEAL FOR SMALL DOGS, PUPPIES OR CATS. 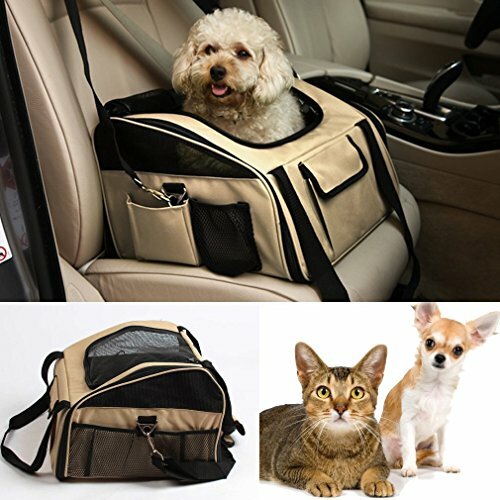 Ideal For transporting your pets in comfort and safety. Tough water resistant material. Fold flat for travel & storage. It is the best solution to safely securing you dog or pet, as their natural urge is to look out the window while travelling in cars. 2. 600 Denier Nylon shell & extra softly padded. 4. For dogs and cats. 5. 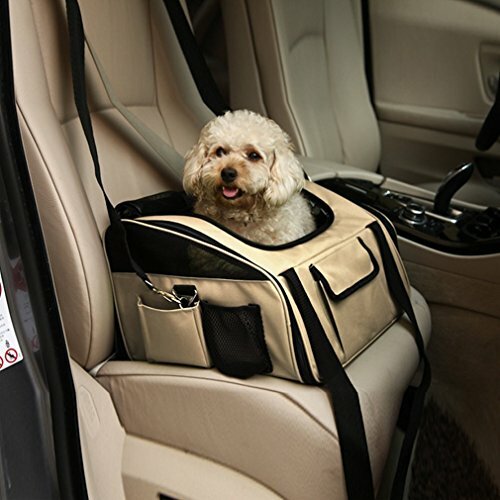 Interior tether is adjustable to keep your pet secure. 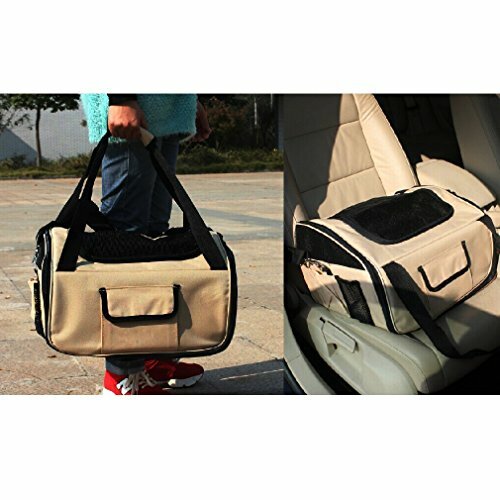 The 2 in 1 carrier perfectly performs as a pet carrier and car seat. 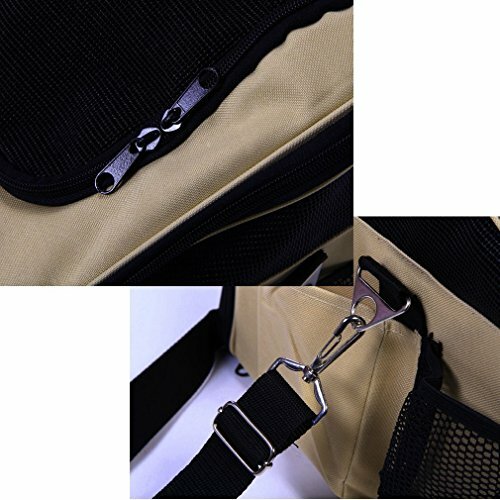 Adjustable strap attaches to headrest or use as shoulder strap while walking. 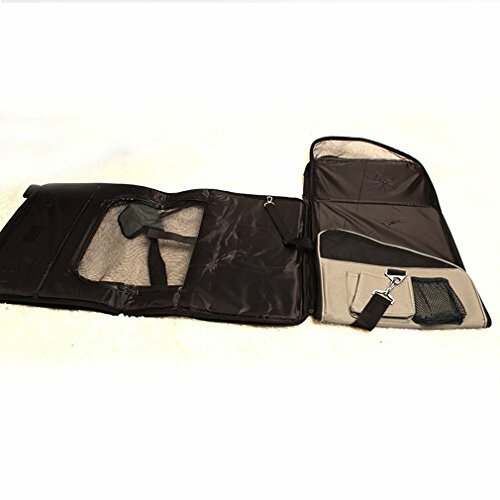 Front and side pockets hold treats, toys or essential for the pet. Can be used on the front as well as the back of the car seat. 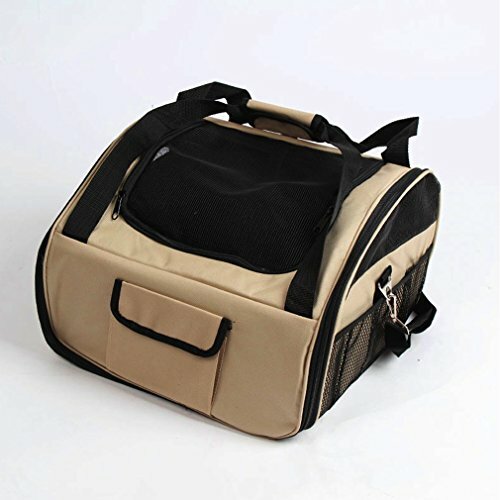 Large Size: 41 * 34 * 30cm, fits pets up to 15kg.